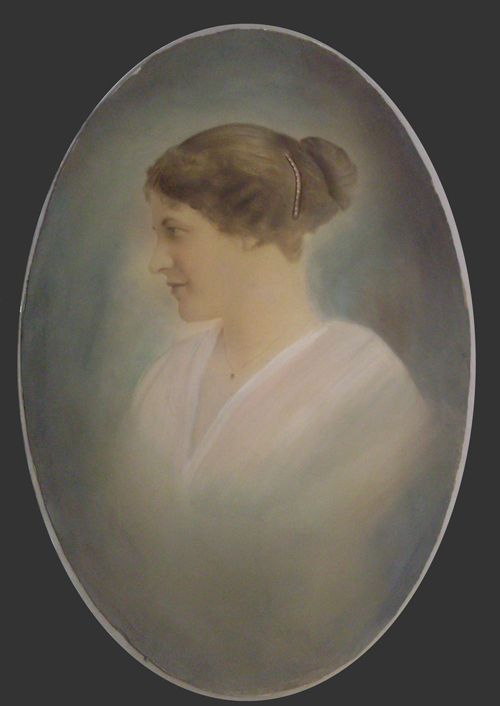 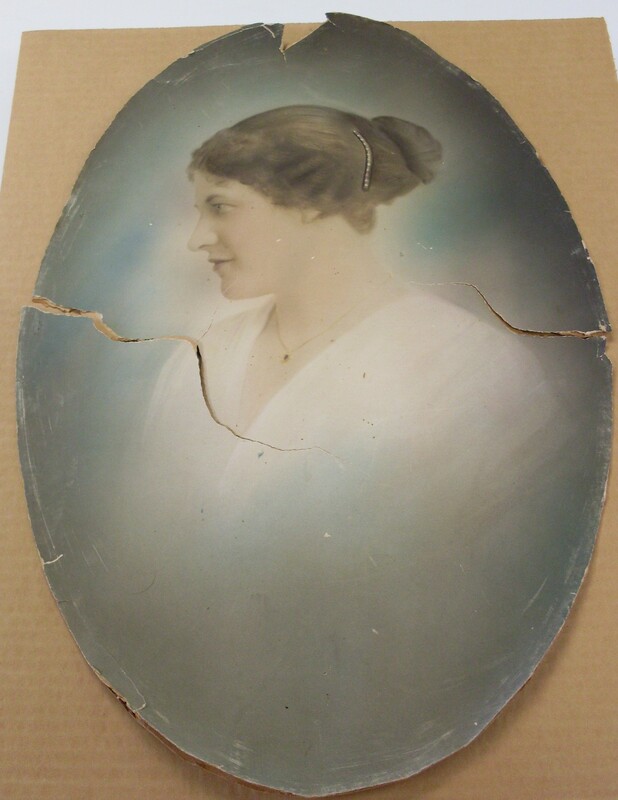 We do an actual restoration of the physical photo, not digital reproductions. 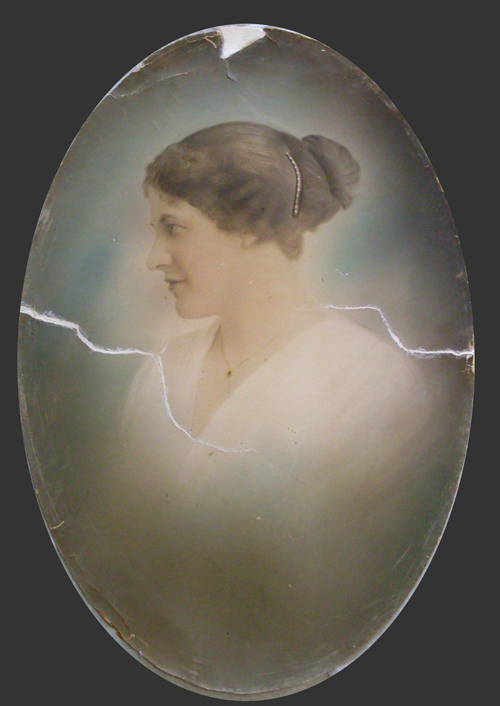 Antique photo – before. Large tears, missing piece at top, scratches.